Ashley Benson has certainly been busy since she wrapped the seventh and final season of the beloved teen show "Pretty Little Liars." From collaborating on a sunglass collection with Privé Revaux to recently wrapping a new movie with an all star cast, the actress has a full plate. But a crazy schedule doesn't mean that she doesn't make time for her friends Walter and Olive -- aka her adorable dogs. We sat down with Ashley (and her pups!) and caught up on everything from dogs to girl power. Read the full conversation below! AOL: While summer is typically a time to relax for most people, you seem to be going non-stop. What are you currently working on? I just finished a film actually in New York and it stars Elisabeth Moss, Dan Stevens, Virginia Madsen, Cara Delevingne, Amber Heard, a bunch of really amazing females, and it's kind of a very gritty take on '90s punk bands. There are only two males in the whole cast, so it was really fun to be a part of such a strong cast of really talented females, and [Elisabeth Moss] is incredible and a good friend and it was really amazing to see her work on set. Wow, that's a dream cast. What would you say is your biggest take away from working on such an empowering set? Being able to work with all those women for four weeks, it was really inspiring and empowering to listen to their stories and where they came from and what their outlook is on the industry. And, you know, [Elisabeth] is now a powerhouse just taking on every single thing, so I’ve learned a lot from her, and she really inspires me as a female in the industry. We were just all so supportive of each other. We all had to learn instruments that we hadn’t played before, and it was just a lot of encouraging and being there for one another and giving each other feedback. It was just total support, which was awesome. That sounds amazing! On social media you give off a very independent and confident vibe. Looking back on when you were younger, what advice would you give to your high school self? Just to stay true to who you are, which I hope that I’ve done. I think that's the only way you’ll succeed in anything -- just being yourself. And it's hard because comparing yourself to others is so common and with social media and everything, but if you’re truly confident in who you are, I think you’ll be your best self instead of trying to be someone else or someone that you look up to, because that's not the genuine you. When you're working you probably travel a lot. How do you manage always being on the go with your dogs? I mean traveling with dogs can be a little bit scary for me. I’ve now kind of got it down a little bit. Walter is pretty chill on the flight, but Olive gets a little bit of anxiety on the flight. On my first time flying with both of them, we went together on a redeye and I was super anxious, but they did pretty well. And then kind of just every time [we travel, I'm] learning the routine and what I need to calm them down and stuff like that, but it's getting easier every time. 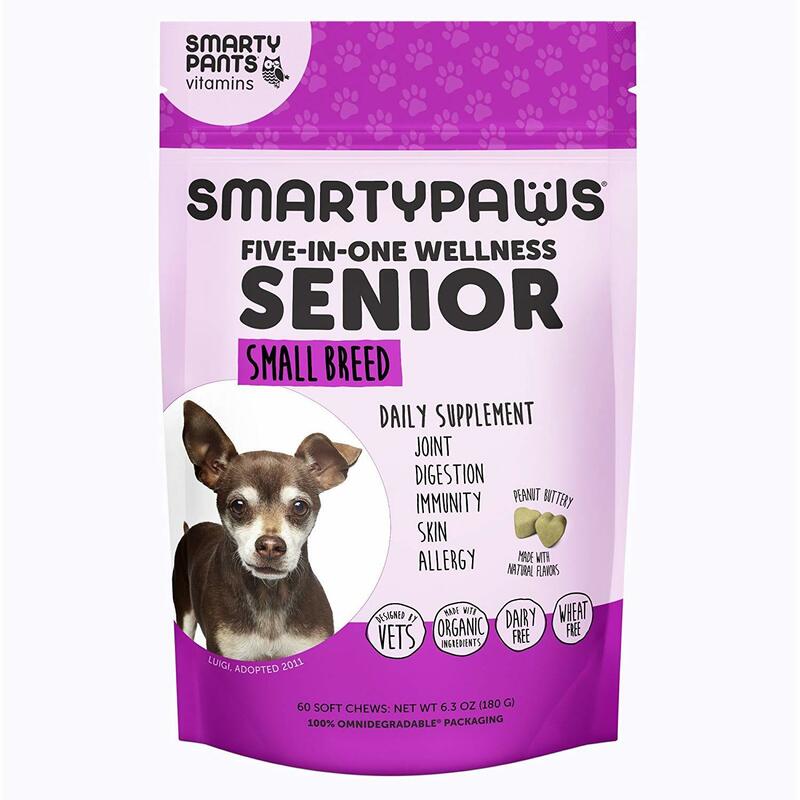 And you recently partnered up with dog supplement brand, SmartyPaws. Why are you excited to be working with them? 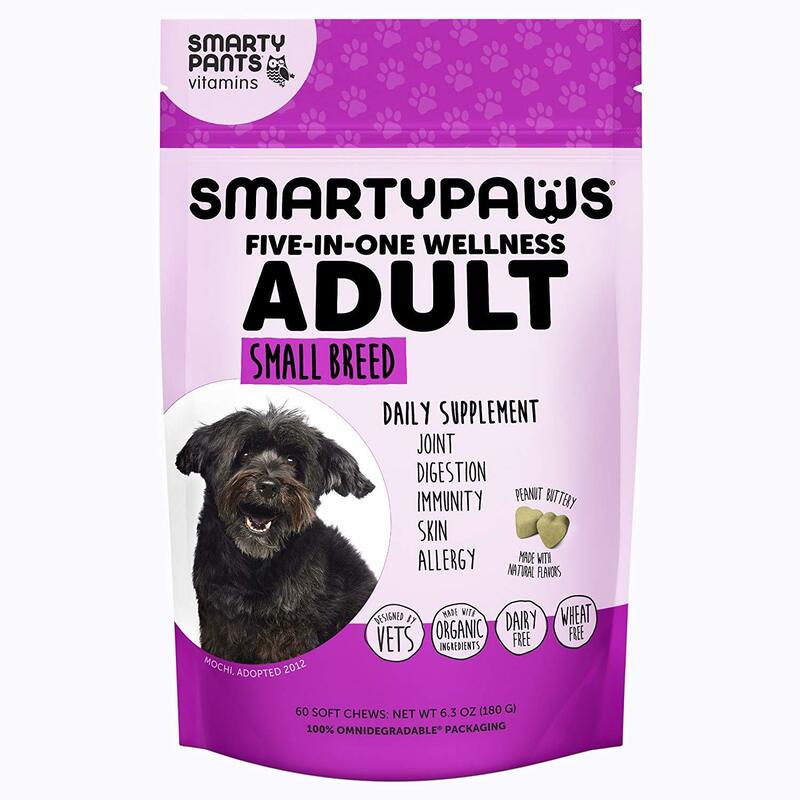 I mean with health in general and making sure my dogs are okay, the fact that I can give them a little all-in-one supplement to make them healthy and clean their liver and their gut and that kind of thing, it just makes me fully aware of them being healthy. It would break my heart to ever think that they’re not being taken care of, so this is just a great, simple way to add in something to their diet and keep them healthy. 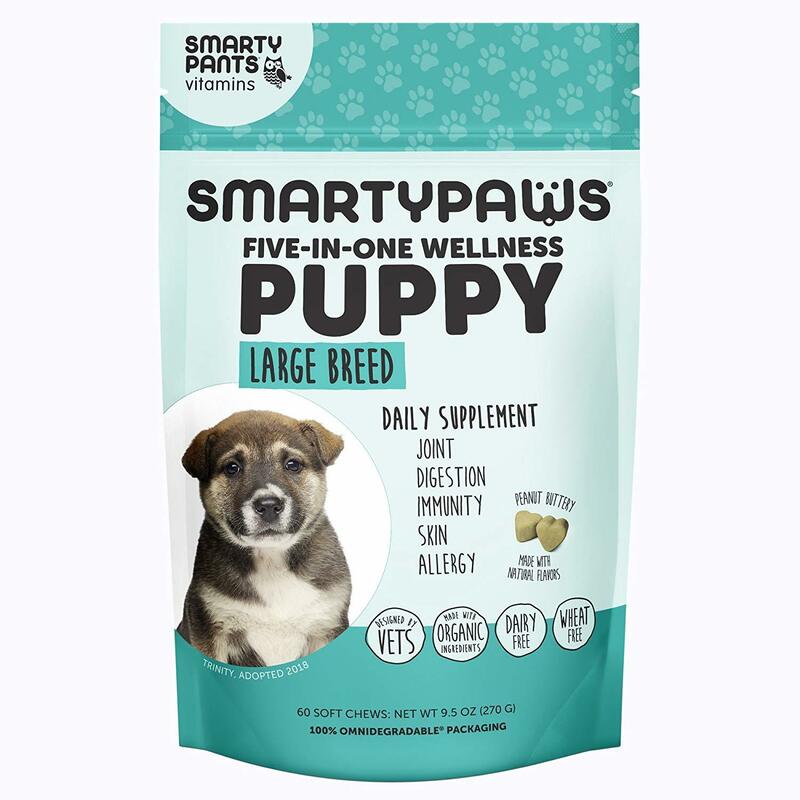 You can shop SmartyPaws below!